The Heroes of the Storm competitive scene has suffered a major blow. In a blog post late Thursday, Cloud9 announced that they are dropping their Heroes of the Storm team. The org has been in Heroes longer than any other sponsor, having supported a five-man team for nearly two years. The withdrawal comes shortly after the team failed to qualify for the Summer Championship at DreamHack Sweden. It’s a stunning change of course for what was once the best Heroes team in the world. 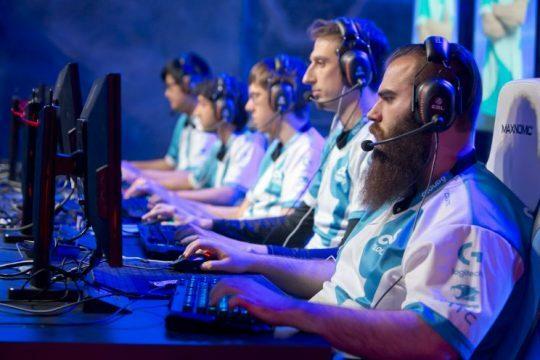 But after winning Blizzcon 2015, Cloud9 struggled to maintain any semblance of consistency. The cracks in the foundation began to show in January at Heroes Rising, where the team came in second behind Naventic. With the exception of their win at the Spring Regional, Cloud9 would spend 2016 in Naventic’s shadow. Their fortunes took a turn for the worse as the summer leg of the circuit began. The team barely qualified for either regional this season, entering the tournaments as eighth and seventh seeds. While they did finish second at DreamHack Austin, their short-lived resurgence was snuffed out in Burbank at the ESL Summer Regional, as Gale Force Esports secured the only other ticket to DreamHack Sweden. C9 is by no means the only organization moving away from Heroes. Some of the best teams in the world, such as Team No Limit and EDG, have disbanded. Korea is in a total state of disarray. MVP Black, the best team in the world, harvested a second roster from three different teams: DsA, Team Hero, and TNL. It remains to be seen if DsA or Hero will try to fill their open roles or will just call it quits. Also worrisome is the fate of Cloud9 rival Tempo Storm, who have had a steep falloff since losing support and shotcaller Wade “Dreadnaught” Penfold. After going 0-8 in the last two regionals, it’s safe to assume changes are coming to the North American team as well.